Locate and open the blue “b” icon in the upper right corner of your menu bar. 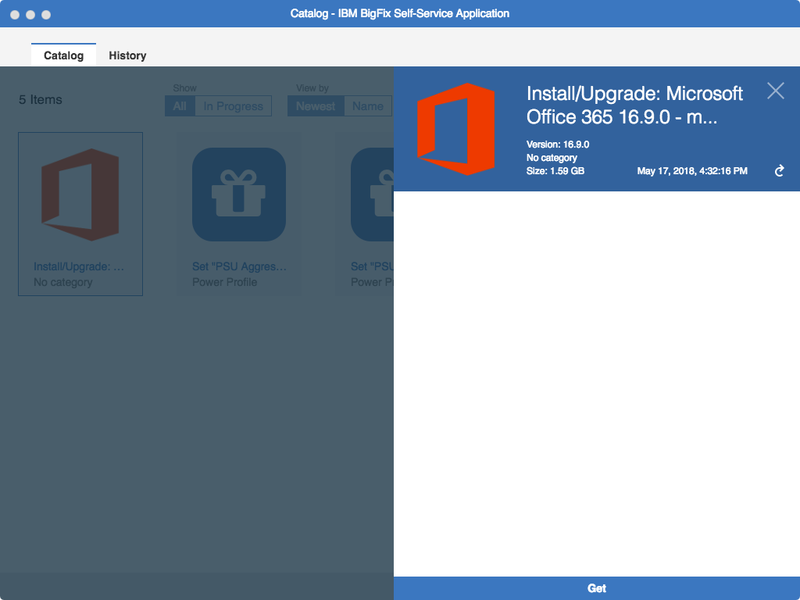 Look for the item named: “Install/Upgrade: Microsoft Office 365 32bit 16.9.0 – Macintosh”. Click on that icon, as shown below and it may indeed be truncated. The download & install process will begin shortly. You will see Running... at the bottom of the window. 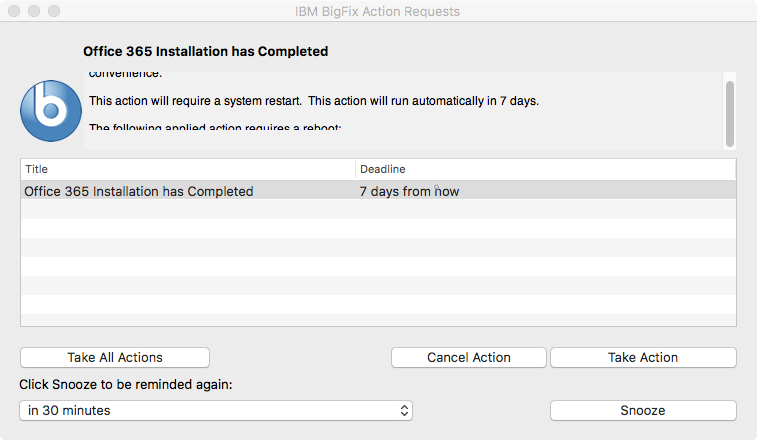 When it’s complete, BigFix should pop-up a notice asking you to reboot. 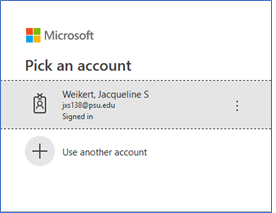 Please click Take Action, which will give you another window. Click Restart Now. This may not restart your computer though, so please manually Restart. Locate and open any Office product (Word, PowerPoint, Excel, etc.). The next few screen shots are examples of what we saw when we opened Excel. 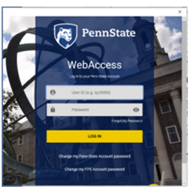 You may see a What's New window. o If your default DUO choice is okay, press tab once, then Enter. o If your DUO needs changed to another device, you will need to click tab until you can see the needed parts of the window.